Rev. 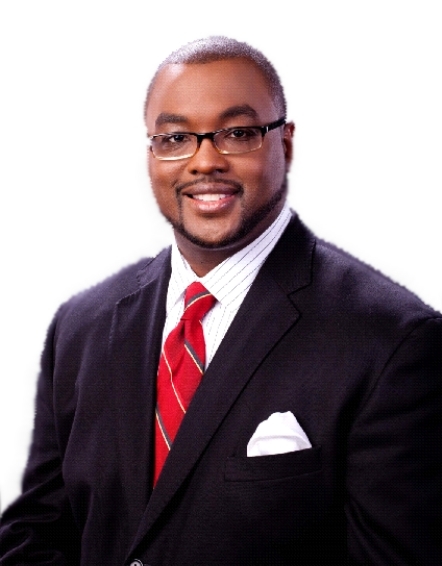 Dr. Marcus D. Davidson is the Senior Pastor of New Mount Olive Baptist Church in Fort Lauderdale, Florida. He has a Bachelor of Science in Mechanical Engineering Technology from Alabama Agricultural and Mechanical University in Normal, Alabama; Master of Biblical Studies from Heritage Bible College in Huntsville, Alabama; Master of Divinity from Beeson Divinity School at Samford University in Birmingham, Alabama; and a Doctor of Ministry with an emphasis in Black Church Leadership from The Southern Baptist Theological Seminary in Louisville, Kentucky. He has studied at Dallas Theological Seminary in Dallas, Texas; abroad at the Caribbean Graduate School of Theology, Kingston, Jamaica, West Indies; Dr. Davidson is a gospel recording artist; entrepreneur; former columnist, South Florida Times; former Executive Committee, former Assistant Treasurer, former Budget Committee Member, and former Member of the Consortium of Young Pastors of the National Baptist Convention, USA, Inc.; Vice President, Southeast Region of the National Baptist Congress of Christian Education; Chairman of the Board of Directors, former Secretary, Administrative Committee Member, Website Committee Member, and Board Member of the National USA Foundation, Inc.; former Board of Trustees Member at Florida Memorial University in Miami Gardens, Florida; a member of the Kappa Alpha Psi Fraternity, Incorporated, and a member of the Sigma Pi Phi Fraternity, Inc. Alpha Rho Boule. He has served and continues to serve in the community on various committees and organizations. He has received numerous accolades and prestigious awards.